Today, when most of the organizations strive to move to a paperless environment, they’re often faced with a challenge of integrating their current systems, which are difficult to use, require costly training, and are expensive to implement and maintain. print2eforms allows organizations to receive the benefits of paperless automation quickly, easily, and economically with form designing services. Manual forms are a mandatory input element for most organizations. Every organization that has a customer/external interface needs manual forms printed which are filled out at the source point by the external entities like customers, clients, patients, surveyors, etc. As a dean of a university, if you want the admission forms filled in by students every year to be properly designed so that you can capture key details of the student like areas of academic interest, stream of education pursued, etc., you need expert help in form designing. 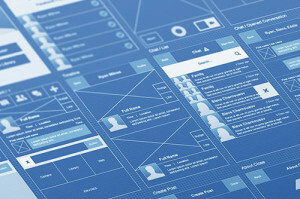 We are experts in designing forms so that none of your forms leave out any important details.